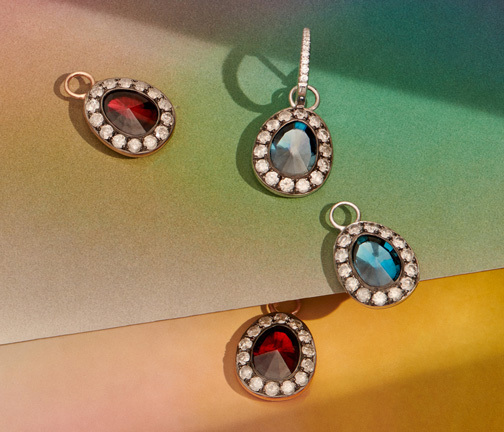 A playful and vibrant collection, rich in colour and joie de vivre, indulge in these ethereal Rose Quartz Earrings crafted in white gold and framed by 1.65 ct grey diamonds. 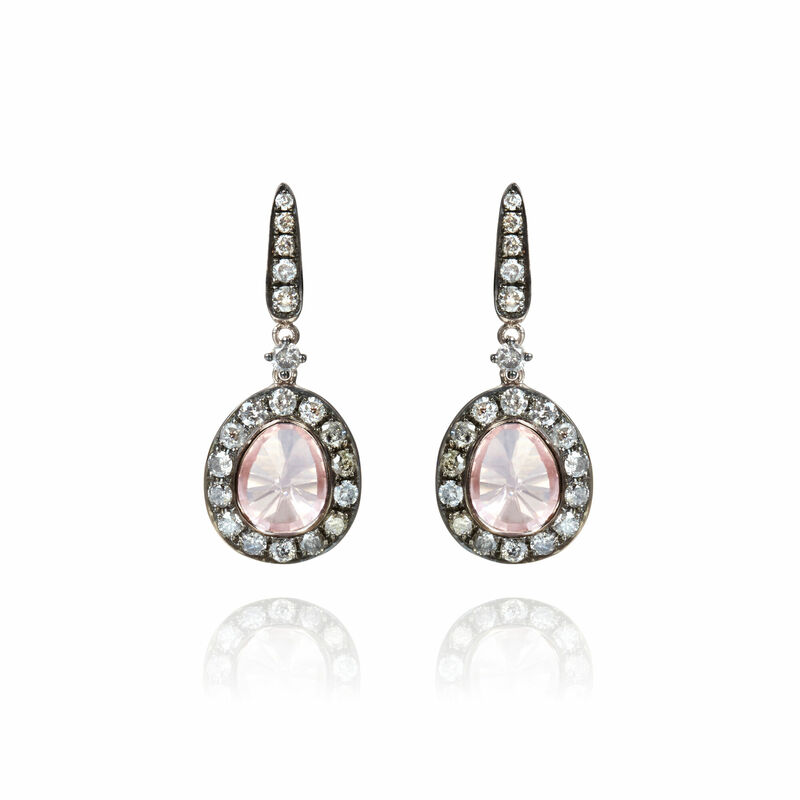 The delicate imperfections of the 5.50 ct rose quartz ooze a yesteryear elegance which is only elevated by the contemporary diamond setting, following the organics form of the asymmetric stones. 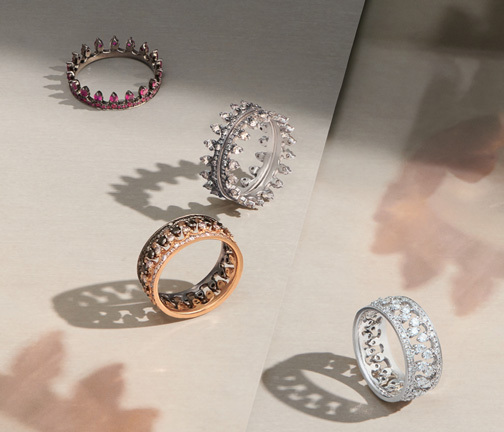 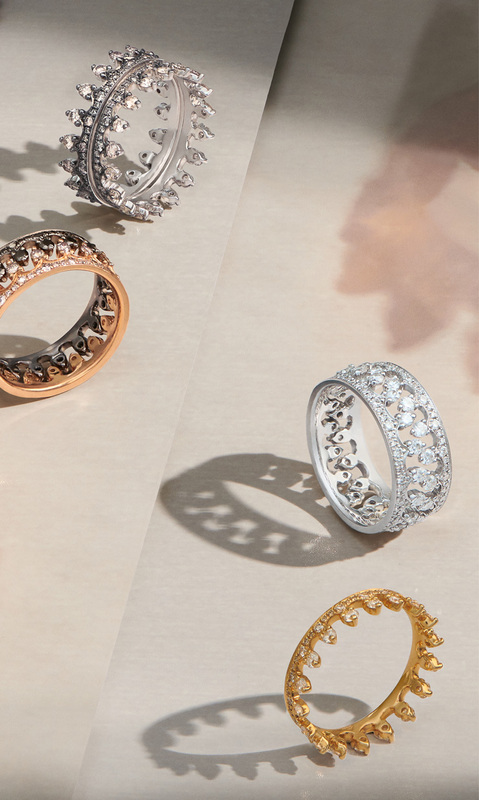 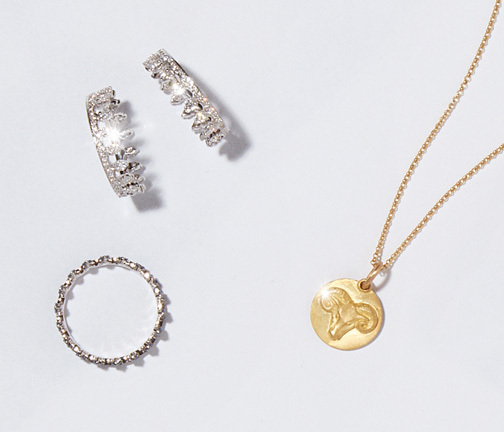 Ramp up the glamour by pairing with Dusty Diamond Stacking Rings.